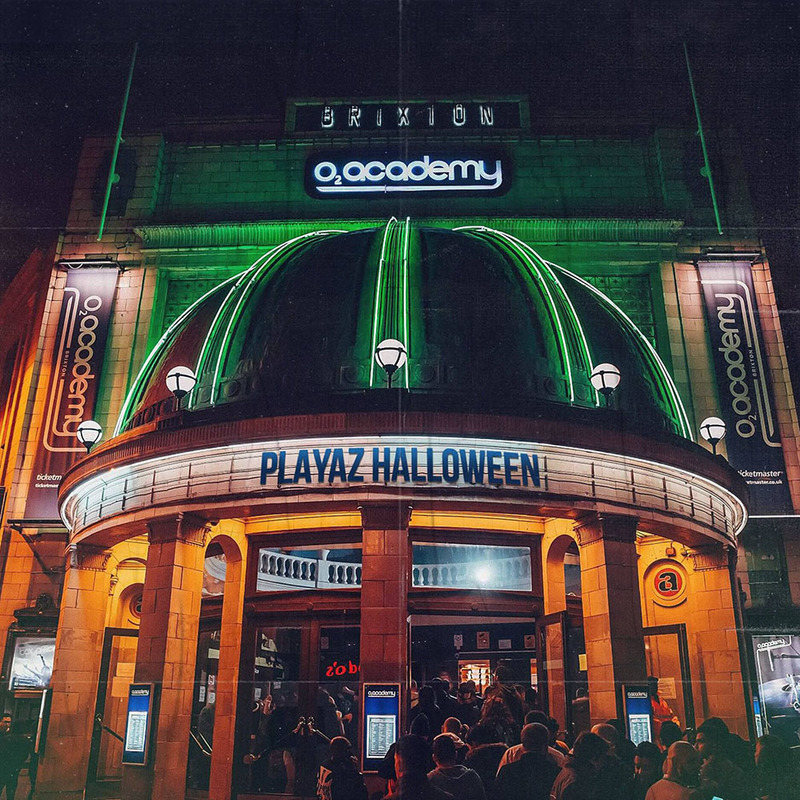 LSA Graduate Drum & Bass DJs play for the biggest Halloween DNB event, PLAYAZ at The 02 Brixton Academy! London Sound Academy, the capitals highest rated electronic music school will host room four, showcasing an up-coming generation of DnB DJs and Producers Including, NeoPink, Lost Child, Milna, Droop, Askew and Ryan Spicer. Set times TBA. With over two decades at the top, Playaz is a brand that continues to grow and set new records, and so it is that drum & bass’ finest announce their most significant Halloween show to date on Saturday 27th October. The final headliners can now be revealed and include the breaking news that Hype & Hazard will be presenting a world debut of their brand new concept Switch, plus you can expect a special Hatch & Friends takeover, as well as sets from new additions Ocean Wisdom, the High Focus Records hero who is shaking up the game with his unparalleled lyrical creativity, stage presence and flow. Another vital player in the scene is Black Sun Empire, who represent the finest in dark and tech fuelled drum & bass. They run their own essential label, are known as the ‘kings of all things neuro’ and have been pioneers since first emerging back in 1997 and are joined by more greatness in the form of Problem Central, General Levy, DJ Rap, a world exclusive Annix B2B TC set, London exclusive back to back performance from Sub Zero and DJ Limited, plus very special guest Jungle Warriors and Foreign Beggars. Read more about the event here on Skiddle - But don't forget, LSA students and readers get discount tickets. Contact us for more information on that. If you would like to learn how to mix Drum & Bass (DnB) and get help establishing yourself as a Drum and Bass artist you should enrol on our 1-2-1 DJ Course and get expert guidance in your genre. Contact Us for more information.